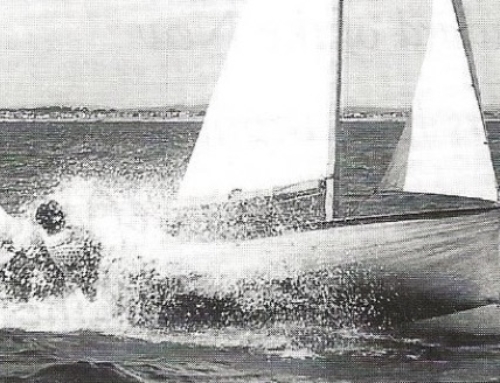 Fred Andrews – Sailor, boatbuilder, skipper, winner, leader. 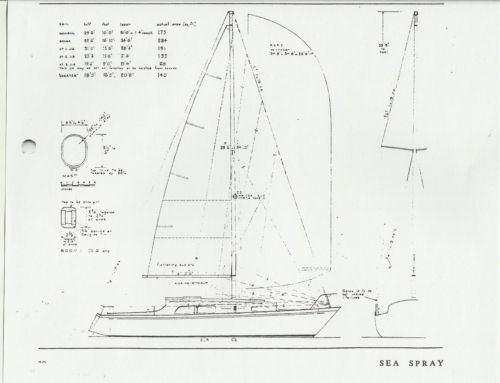 Home/ANZ Sail FIji, Archives/Fred Andrews – Sailor, boatbuilder, skipper, winner, leader. Members will be saddened to hear of the death of Frederick George Andrews who died on March 14th this year. He will be remembered as an active club member from the 1960’s onwards, with many keelboat race victories, both local and offshore to his credit. He was a qualified plumber proficient in sheet metal, welding and sparmaker work. When you add his other talents such as musician, Band member, rugby fanatic, with a love of the sea and combine these with his desire to be a winner, it is not surprising that he also chose to build his own boat. After marrying in 1960, he started up his plumbing business and began building his first boat. Two years later “Roulette” emerged from the large workshop/boatshed situated behind the 2-roomed fibrolite Bach at Buckland’s Beach that the Andrews family called home. Assisted by friends and family the project was completed, including pouring the keel on site in typical amateur N.Z. boatbuilding practice of that time. Like most yachties he had his priorities well established. 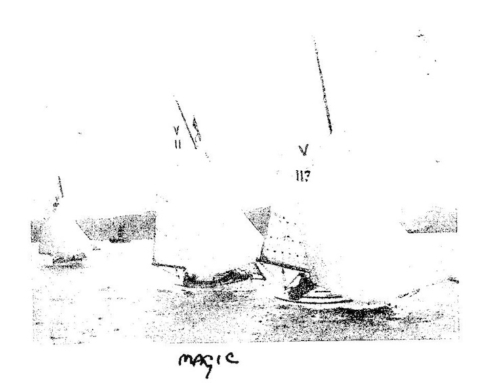 Once launched, “Roulette” competed successfully in both local and offshore races from 1963 until the end of the 1967 season. In 1968, building began on “Roulette’s” successor. This new, larger boat took only 3 months from hull and deck stage to hit the water. By this time Fred and Nancy had a crew of two daughters who no doubt became well trained in the art of sanding, painting etc. Named “Roulette II ” the new boat proved to be just as successful as her predecessor and continued winning numerous trophies both in the Hauraki Gulf and throughout the Pacific Islands. Nancy, Fred and the girls were all keen sailors and when not participating in races spent most weekends and all Christmas holidays cruising somewhere on the East cost of the North Island. They were renowned for their on-board hospitality which many members will recall. Fred remained a very active competitor and member of the RAYC offshore Blue Water Division for many years and his skill as a skipper was demonstrated on numerous occasions most notably when he co-skippered Rainbow II to win the 1967 Sydney Hobart Race. The archives team wish to acknowledge and thank the Andrews Family who have gifted boat trophies, logbooks and other memorabilia to the RAYC archives. Submitted by Barbara White, Volunteer Archivist. Thank you Barbara for the lovely tribute you did for my dad. He was one in a million. It is truly lovely to read such beautiful words about my grandfather. An amazing man who is missed ever so dearly.